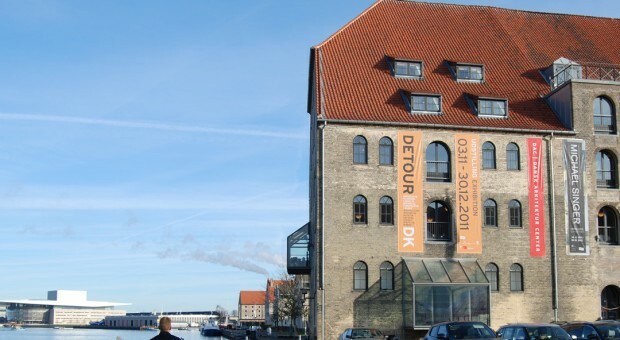 Engaging Architecture, Landscape and Ecological Renewal / The work of artist Michael Singer is displayed in Danish Architecture Centre on Level 2, November 19 2011 – January 29 2012. The American artist Michael Singer creates sculptures, landscapes and architecture that weave into its surroundings in a convincing way – whether the subject is nature or urban environments. His works range from paintings and drawings, sculptures and installations to large-scale architectural projects that bridge the gap between the aesthetics of nature and city. For example by creating large garden facilities in building projects, and by restoring places that environmental pollution and technological development has destroyed. In the Danish Architecture Centre we are pleased to showcase a selection of Michael Singer’s works that contribute to new perspectives on architecture and an active usage of sustainable strategies in creating beautiful architectural projects. Michael Singer demonstrates how nature can be integrated in art and architecture and how the traditional boundaries can be broken between inside and outside, architecture and nature.